The Marks and Spencer beauty boxes always seem to crop up when there is absolutely nothing I can justify buying it with, containing coveted premium products; some that only M and S stock exclusively and usually an add-on item. This time round, I managed to get one before they went and it is jam-packed with cult brands such as Rodial, Stila and Ren. 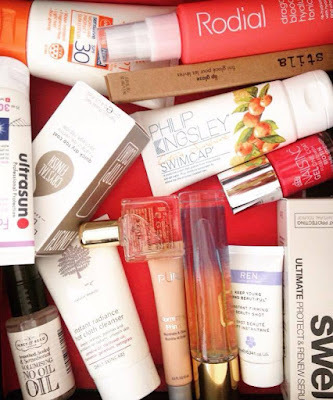 Beauty boxes are an amazing way to try things you'd have never picked up yourself and consequently fall in love with (and maybe give you an indication occasionally of which brands to steer clear from..). Here is a breakdown of the contents..
Ren Instant Firming Beauty Shot (10ml) | Very mini and bound to get me hooked; promises to dramatically firm and plump skin for a youthful visage..